Meteorscatter-bursts occured every minute and despite the nighttime the 144mhz-band was crowded with DX-stations. In the days after you could hear only one topic in the discussions on the band: What happened to 2 meters that morning? Someone was heating up the situation by saying "a 4X-station had been heard in PA0..."
Can we work over 2400 km during extraordinary meteorscatter-conditions like this? In the "common" range of about 2000 km signal strenghts often reached far over S9 and some reflections lasted several minutes. How about the probability of two meteors crashing into ionosphere the same time and on the line to a far away DX-station? How about double-hop meteorscatter? 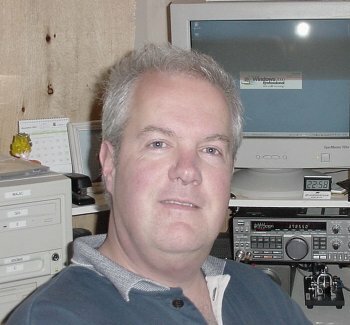 In 1995 the Irish amateur radio organization IRTS launched a special award, the Brendan-Trophies for the two stations who establish a complete two way contact on vhf between Europe and America across the Atlantic. 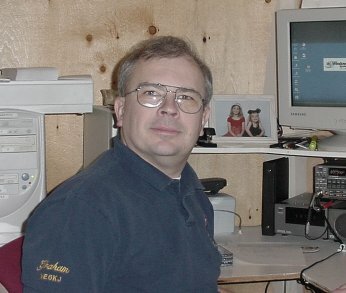 Some tests in the past with John, VE1ZJ, failed but we were not discouraged. We decided to go all the way during the predicted meteor storm in November 2002 (predictions by Asher/McNaught, Jenniskens, Lyytinen). (DOK O32 / DARC e.V.) in Schwelm, a town 50 km north east of Cologne. and offer a great placed QTH. all the "little" problems of such an event. 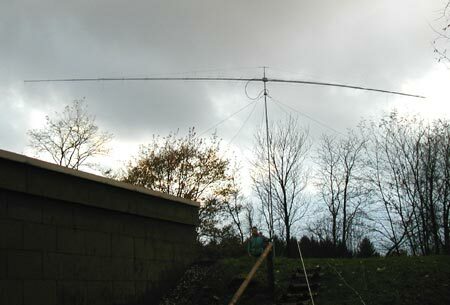 The rig we are going to use is our equipment during vhf-contests in Germany and Europe. To bridge the 3100 km between Newfoundland and southwest Ireland you probably need an unusual kind of propagation. If it really occurs and how it looks like is hard to tell. 1. Double meteor reflections, i.e. the transmitted signal is reflected at the first meteor then at the second and some rf-energy reaches the receiver. TX, meteor1, meteor2 and RX mostly have to be along one direct line. 2. Double-hop-reflections, i.e. signal from tx - 1st meteor - ground - 2nd meteor - RX. But the loss in signal when reflected on the ground reduces the final signal strength a lot. 3. A single reflection at a meteor in exceptional altitude (>190km). Normally meteors burn in heights of up to 125 km, so higher reflections seem impossible. But Dr. Noah Brosch / Israel mentioned reflections at 240 km over the ground level using a radar-system! 4. A combination of different propagation modes: e.g. tropospherical ducting plus a single hop meteor reflection. Anyhow, after november 19th we will know better! For we cannot estimate the number and quality of reflections we decided to use the new meteorscatter-mode FSK441 developed by Joe, K1JT (new version 2.9.0. available since November 11th!). Quite weak reflections often are decodable using this software. But if we find out unexpected good meteor-reflections we are going to change from FSK441 to HSCW-mode immediately after finishing the first contact to try it again in high speed CW. 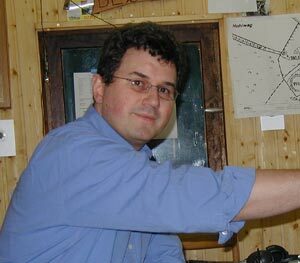 The qth in southwest Ireland for the transatlantic attempt is not fixed, yet. Our holiday cottage in IO42XA is ok for the test but if weather permits we want to go to a mountain in IO41VS: 350m asl and absolutely nothing except water until Newfoundland. We try to activate IO42 at least saturday evening and sunday (16th - 17th november). Due to a mountain we have no good take off to Europe, operation from 80 to 240 degrees will be nearly impossible. We only can offer sidescatter pointing to about 70 degrees. A friendly weather forecast will send us to IO41 on monday to build up the equipment on top of the mountain. After finishing the installation we'll be on air for tests in ms or tropo. Tuesday afternoon we break down the equipment to go back to our cottage. The qth in Newfoundland Admiralty House Museum and Archive in Mount Pearl, Newfoundland, approximately 8 miles west of St. John’s. To all of our sponsors: MANY THANKS!!! There are NO SKEDS in advance! 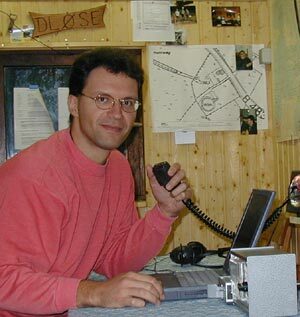 Times of operation and our qth will be found in the DX-cluster network. We are going to use 144.345 MHz for european traffic from IO41/IO42. As far as we can see, now, neither DX-Cluster nor Internet will be available for us! 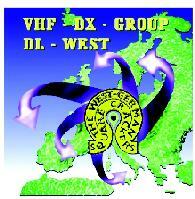 Please listen to the European vhf-net on 14.345 MHz as we try to inform you there! Every hint and question is welcome! Sorry for delayed answer after our travel-start at november 14th. 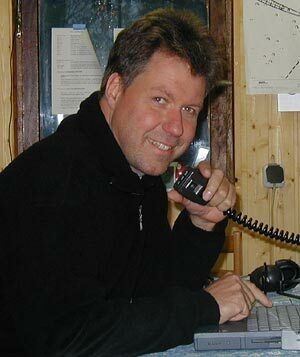 Contact will be held by Andy, DL6YEH. Please check out our NEWS page. !